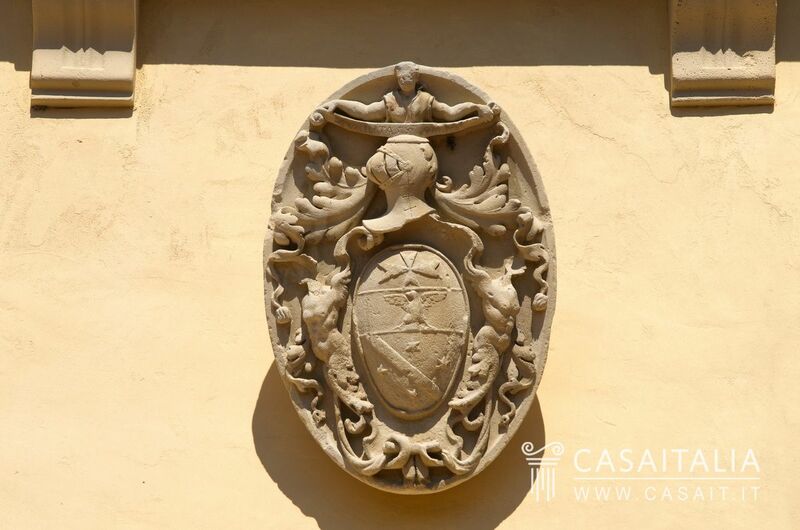 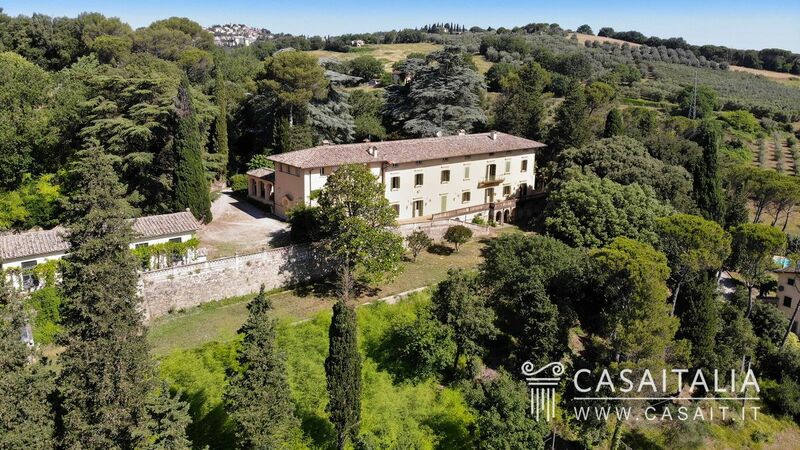 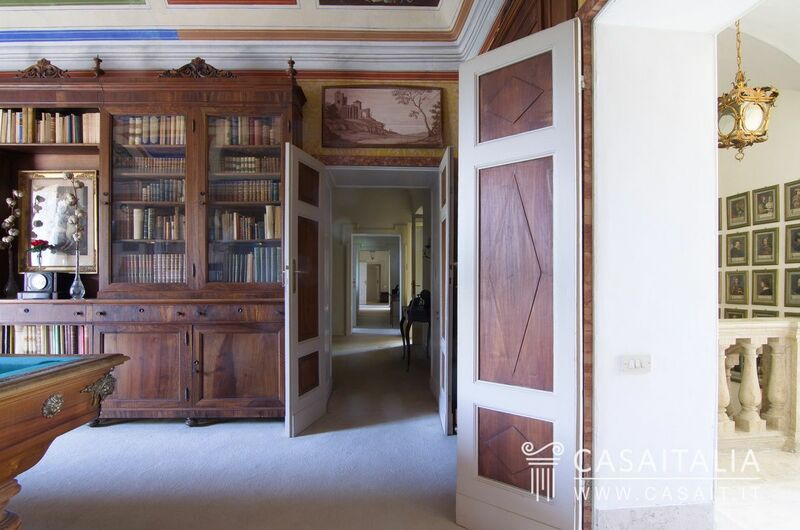 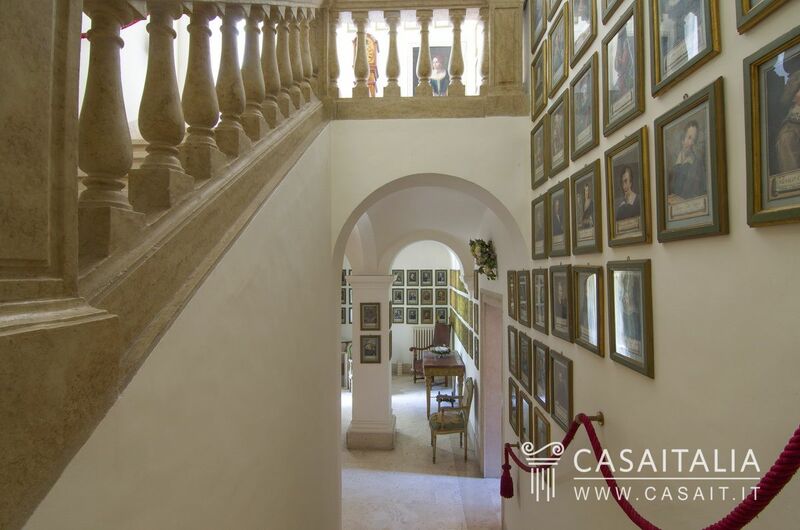 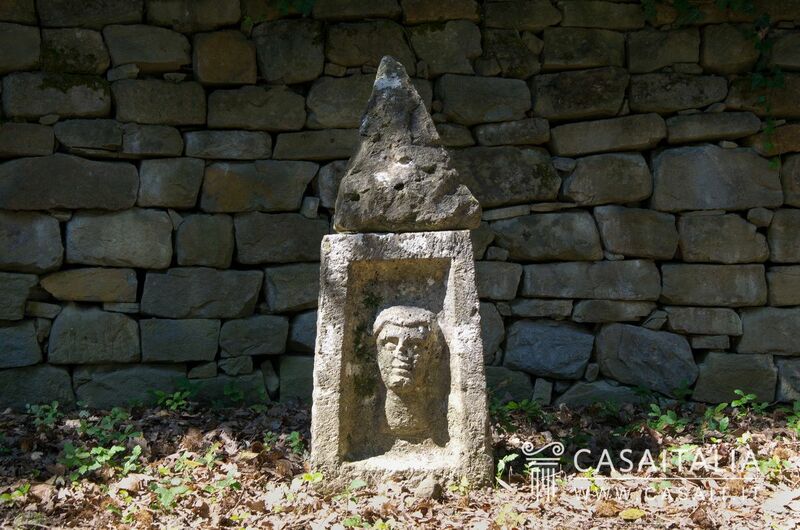 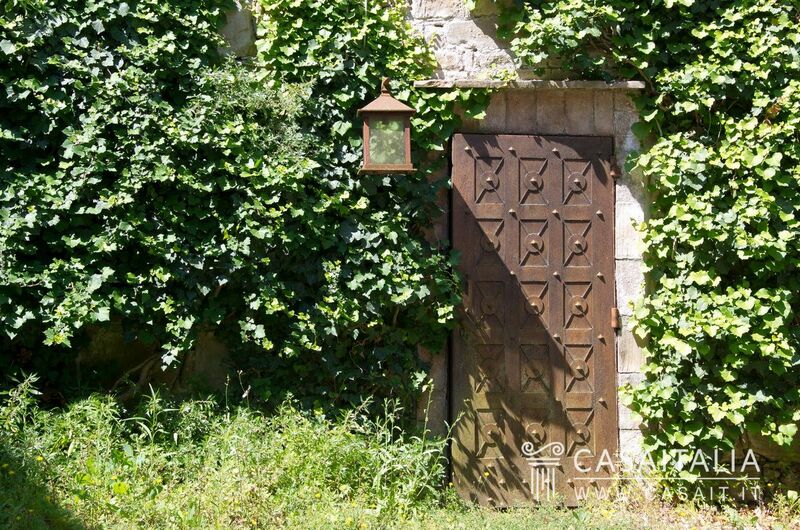 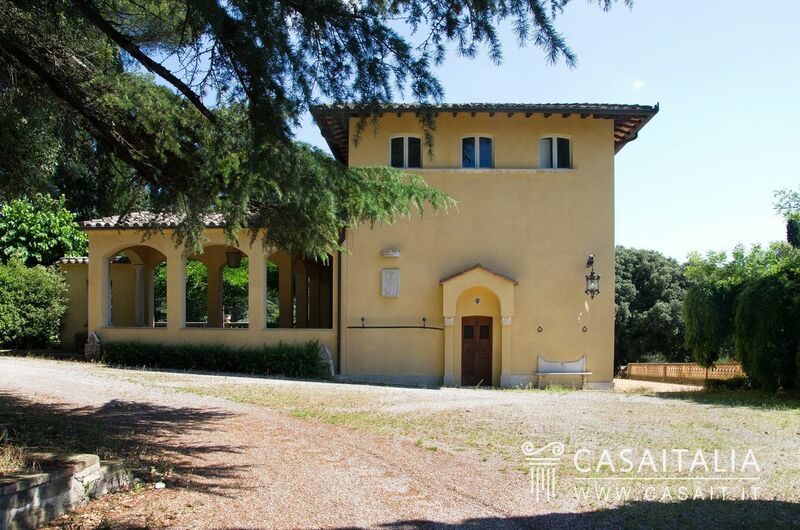 Estate comprising large period villa in good condition, with various farmhouses, partly in need of restoration, on 36 hectares of private land with pool and olive grove. 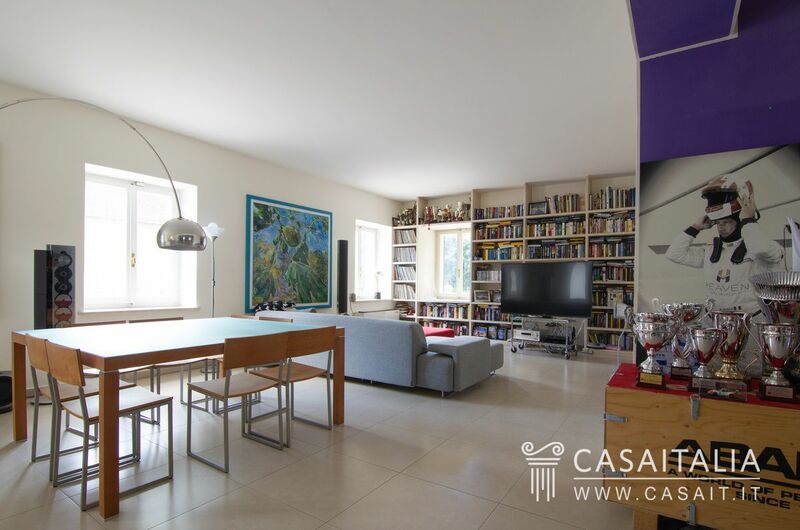 In a hilly, panoramic and convenient location. 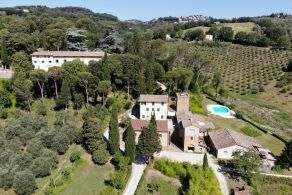 Tenuta del Poggiolo is situated 10 minutes from Perugia, in a hilly, secluded location with a beautiful, open view of the valley. 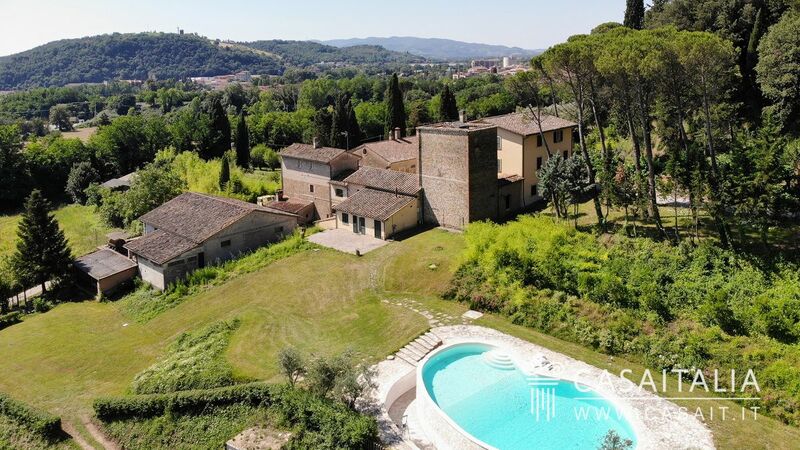 The nearest town is just 600 metres away and provides all the necessary services and shops for daily purchases, while the historic centre of Perugia, full of shows and cultural events is just 7 km away. 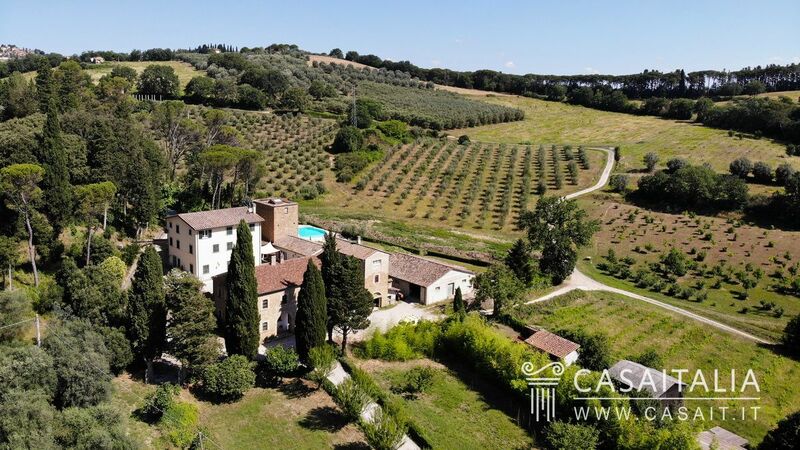 It is situated in Umbria, in a central location in relation to Rome (165 km) and Florence (155 km), both two hours’ drive away, and a little over an hour from Arezzo (88 km) and Siena (115 m). 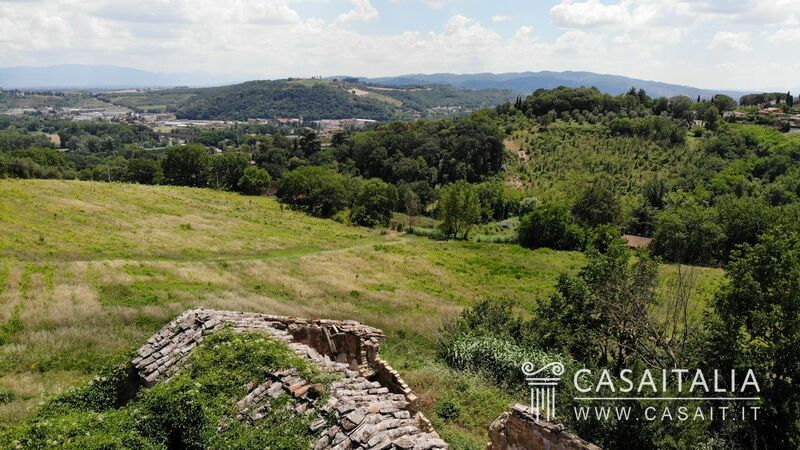 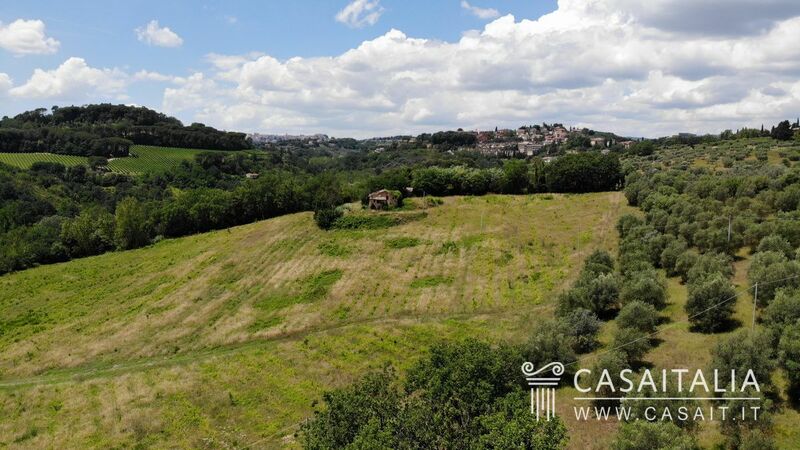 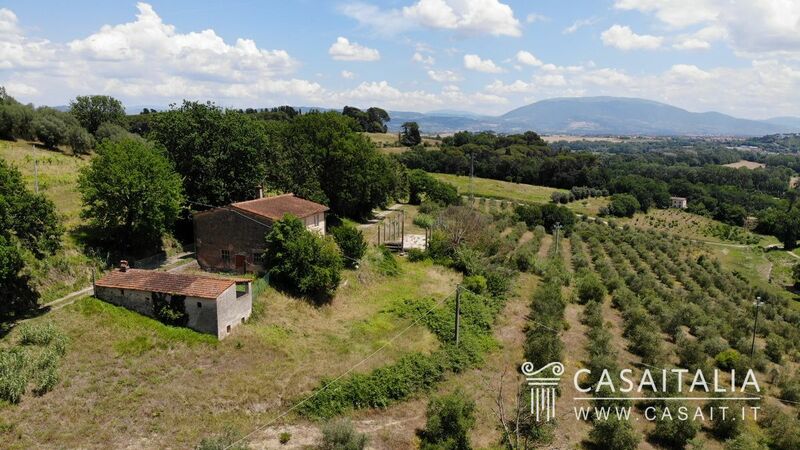 The property is also in an ideal location for day trips to Umbria’s main historic centres, such as Assisi (17 km), Spello (23 km) and Spoleto (56 km). 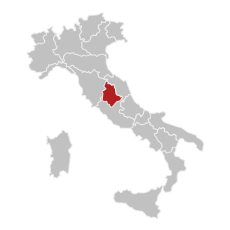 The nearest airport is Perugia, 10 minutes’ drive away (6 km) while Ancona airport can be reached in around an hour and a half and Florence airport in two hours (168 km) or Rome’s airports (Ciampino 180 km and Fiumicino 199 km away). 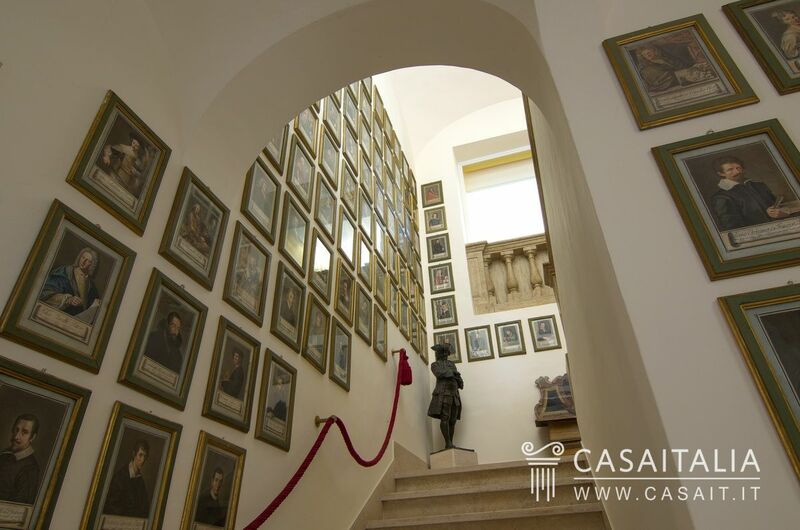 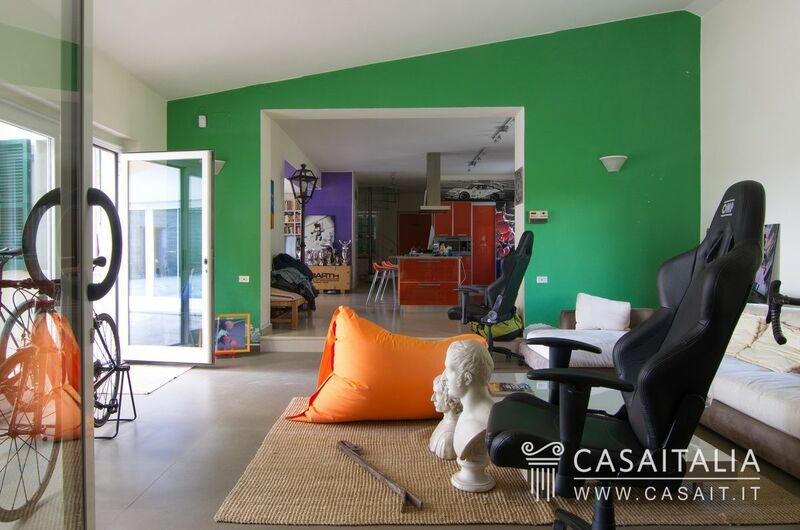 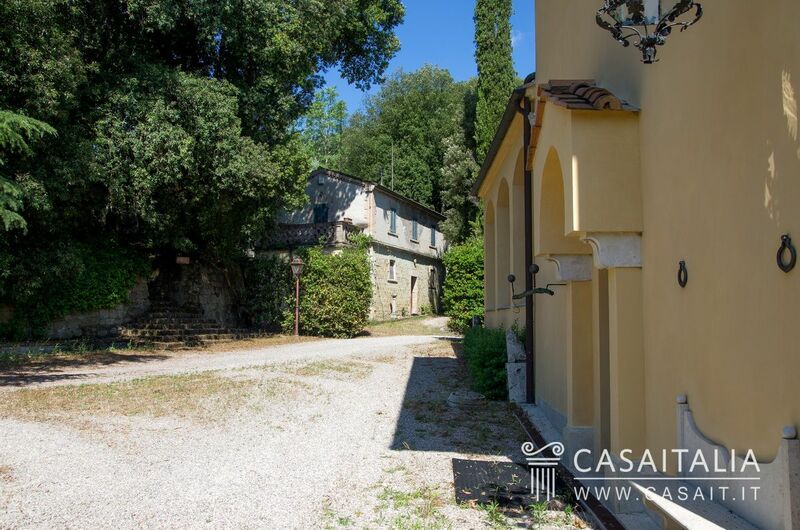 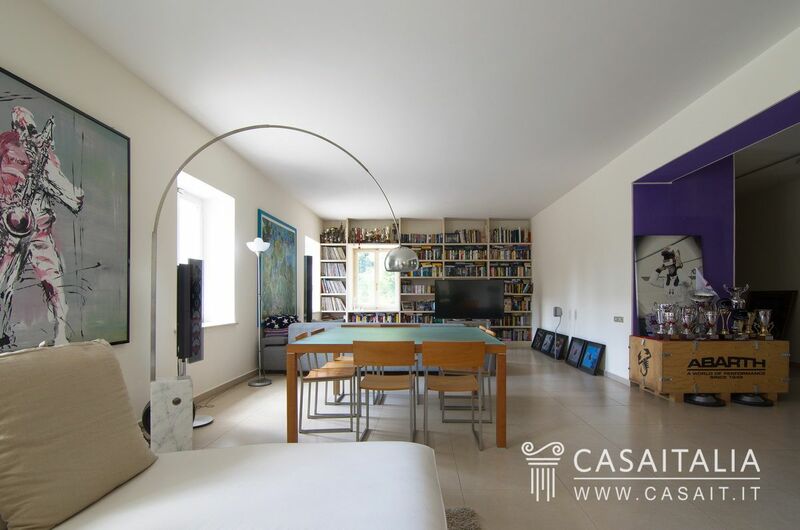 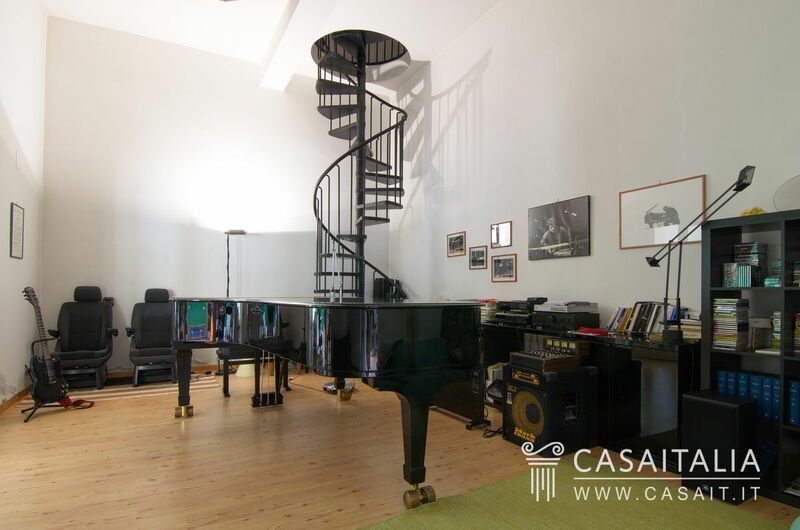 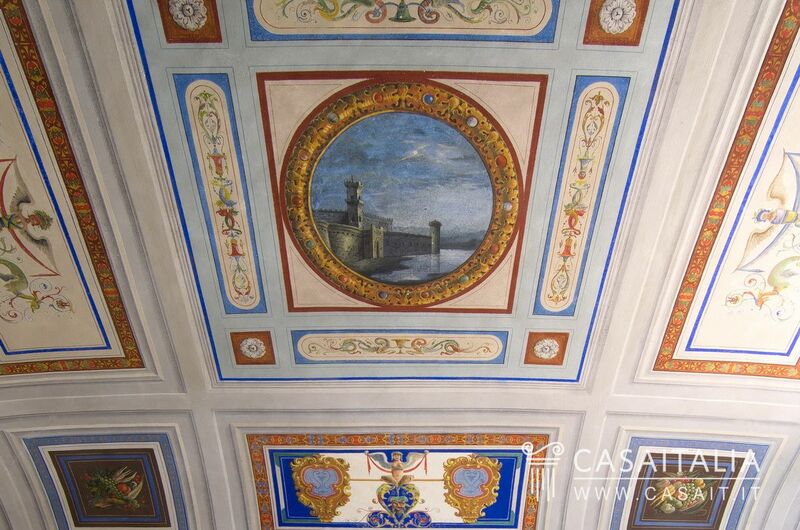 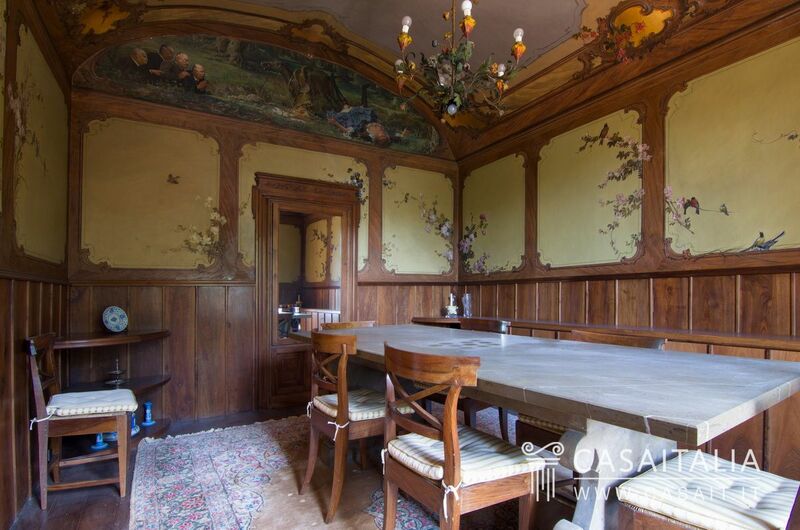 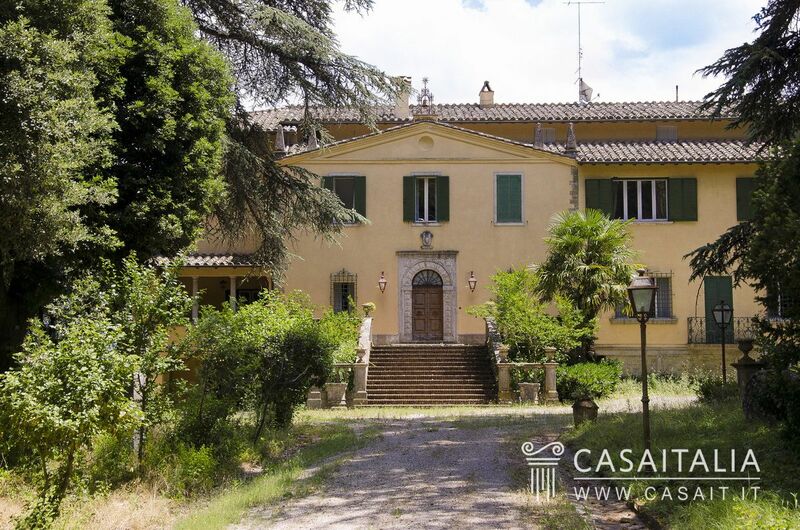 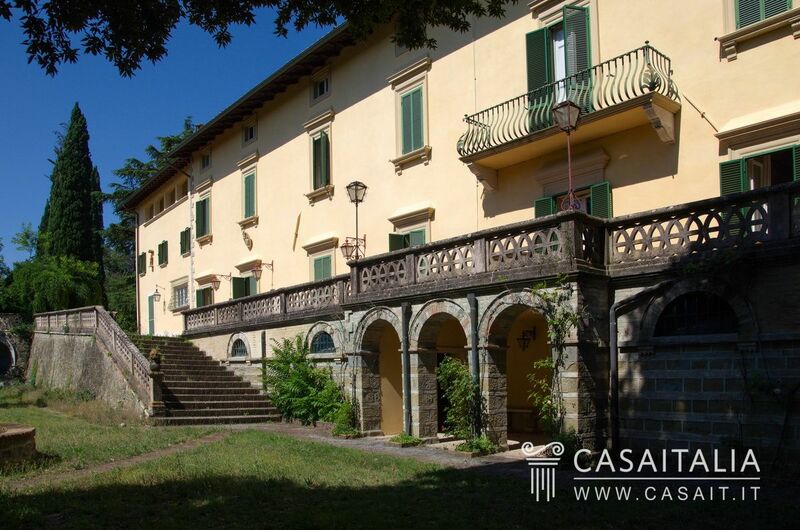 - Period villa with four floors measuring around 1554 sq.m in total, in good condition. 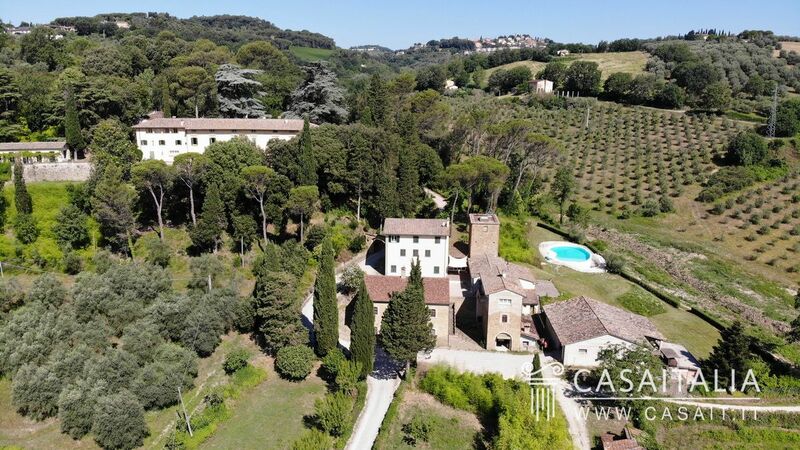 The villa, which is in a dominant location in relation to the other buildings, benefits from a beautiful view over the valley below and the surrounding hills. 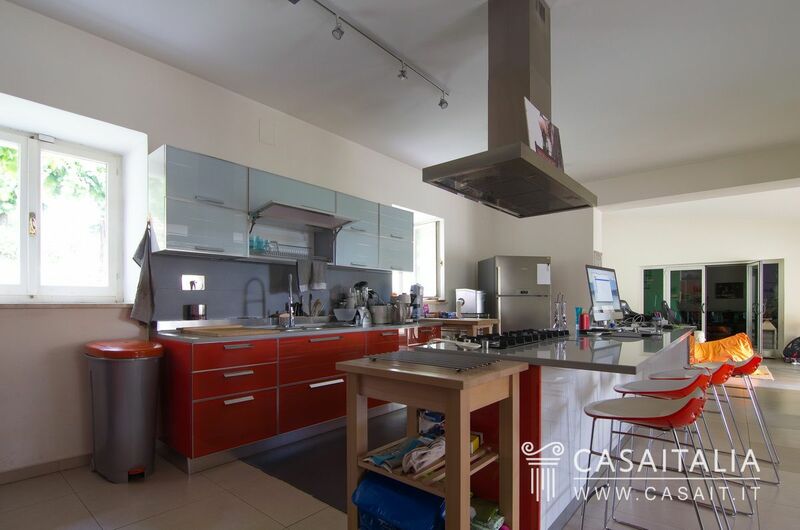 On the ground floor there is the kitchen, the dining room, large, impressive living areas which overlooks a large panoramic terrace and two bathrooms. 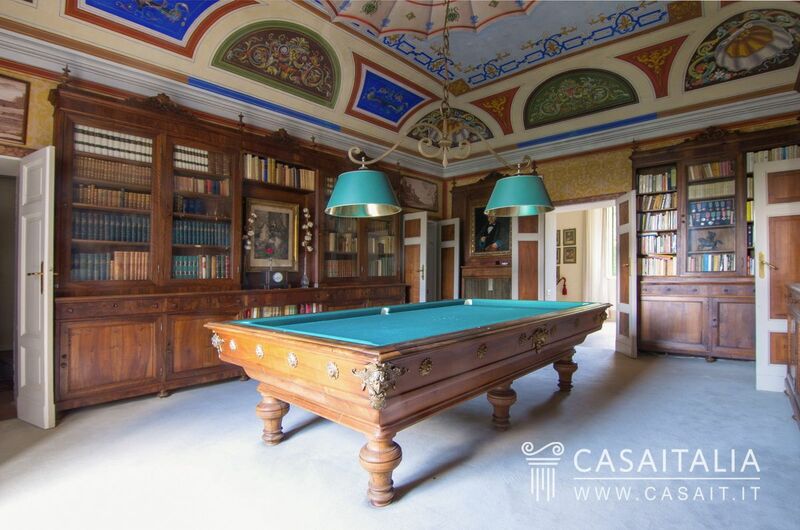 The first floor comprises the billiard room, a veranda used as a home cinema, two bathrooms and 9 rooms used as a study, sitting room or bedroom, all of which could be used as bedrooms. 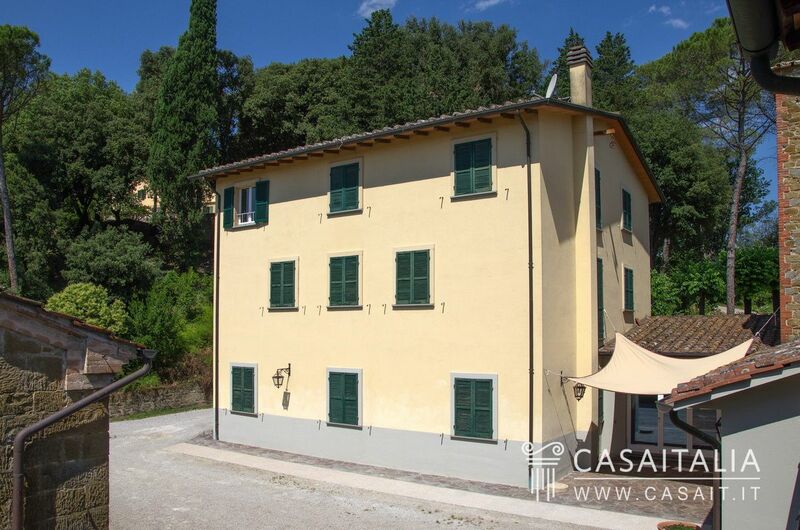 - farmhouse with three floors, measuring around 720 sq.m in total, recently restored. 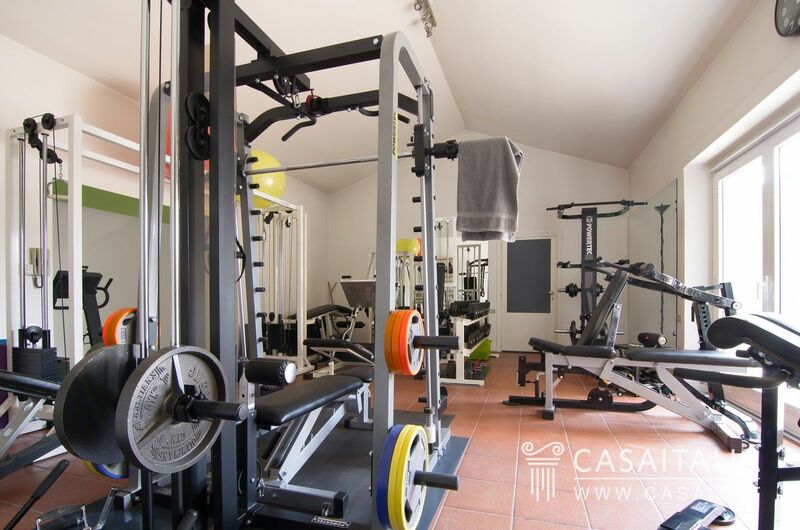 The ground floor is divided into a large open plan area with kitchen, dining area and sitting room, games room with access to a picturesque tower and the gym. 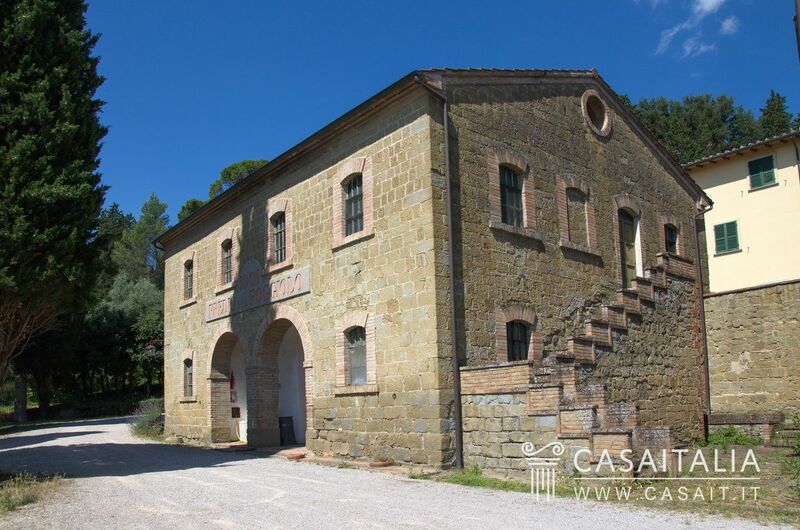 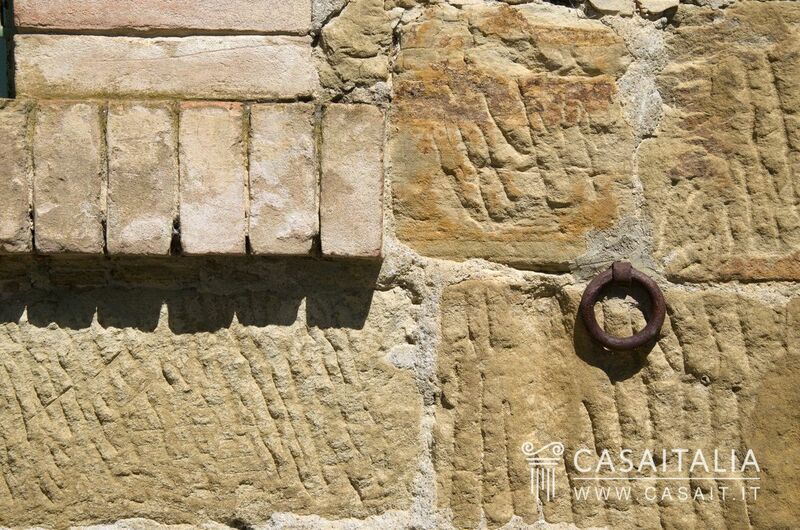 - farmhouse with two floors, measuring around 110 sq.m in total, requires restoration. Altogether, the buildings measure around 3990 sq.m in total. 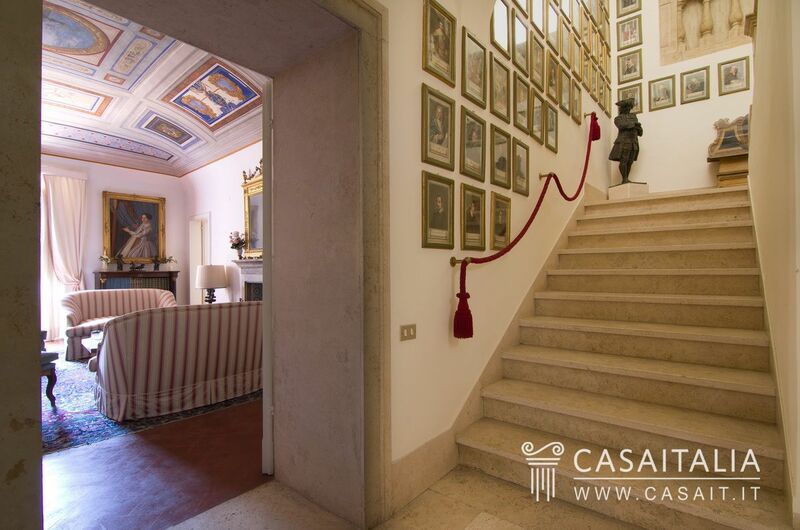 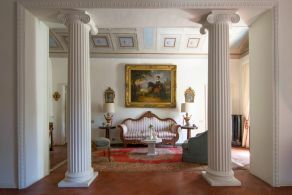 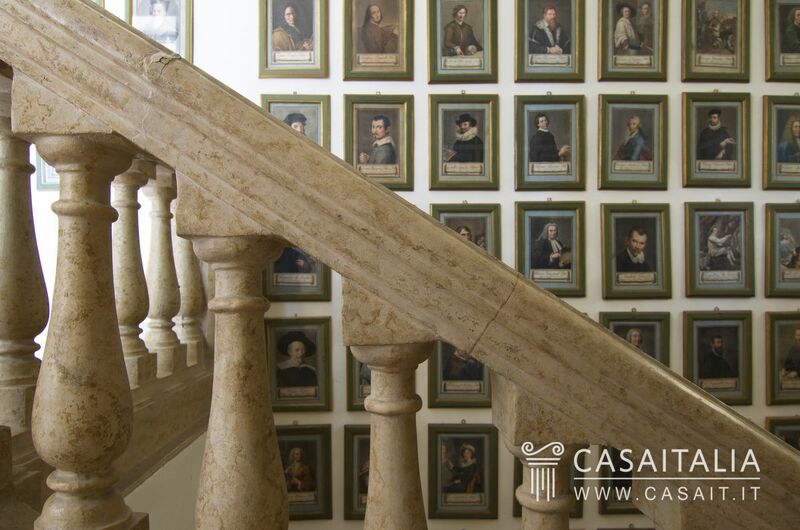 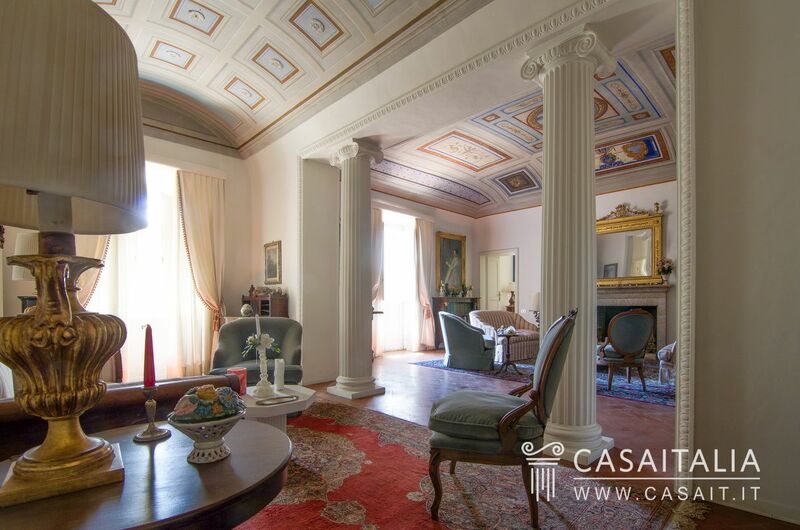 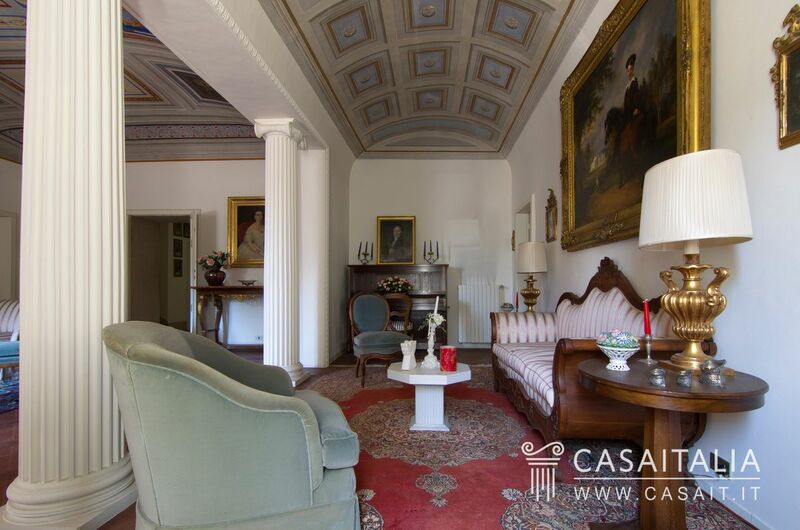 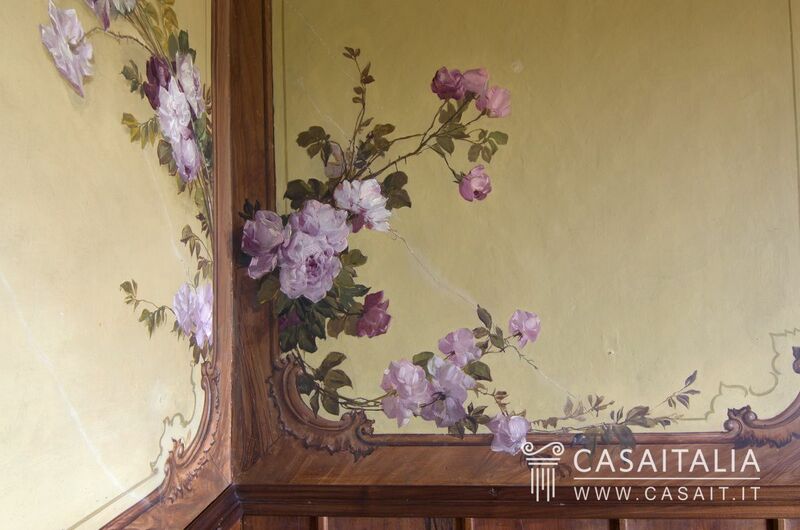 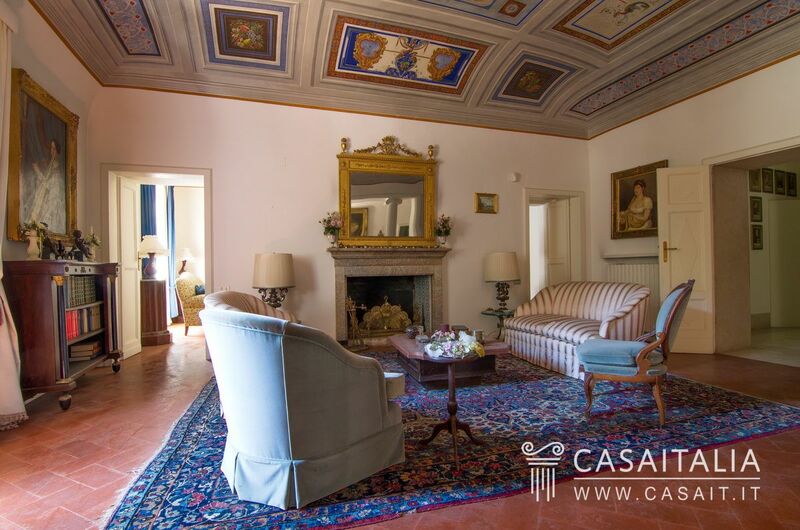 The villa is in good general condition and still has all the charm of an aristocratic country estate. 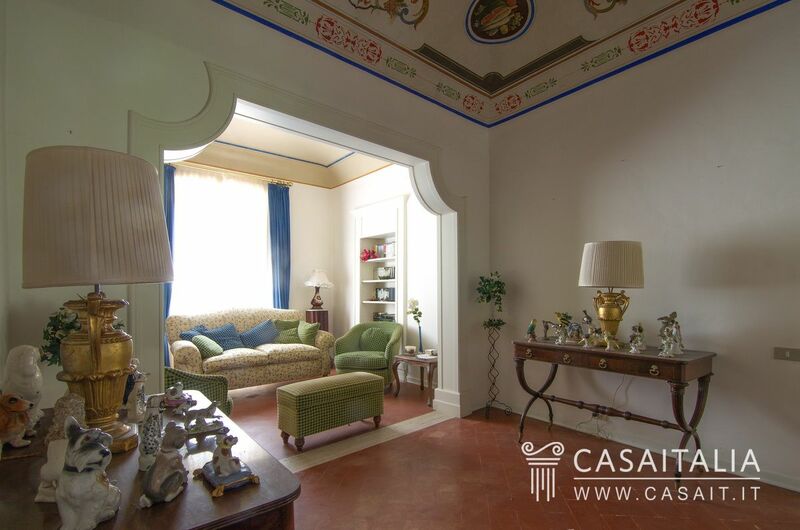 The inside has a pleasant, balanced feel overall and features several spaces with antique tile flooring and ceilings with frescoes and decorations. Thanks to its many large windows, which are original, the rooms are bright and offer a panoramic view of the surrounding greenery. 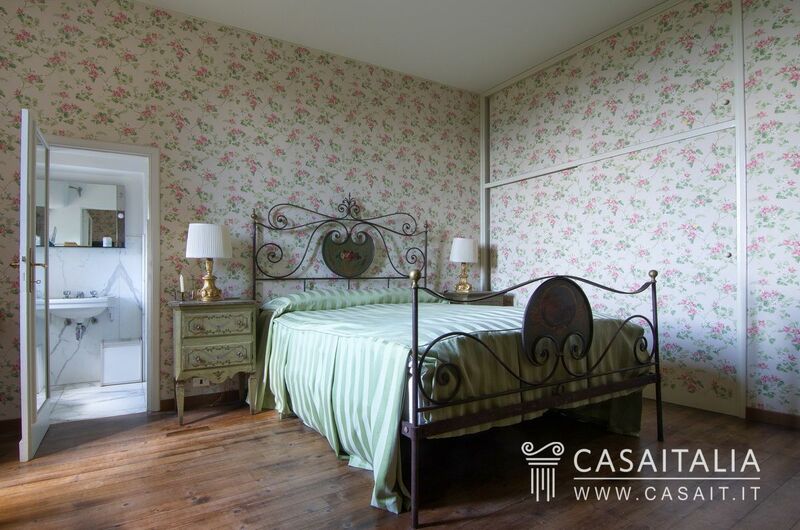 The utilities and the bathrooms, while all in working order, would benefit from an upgrade. 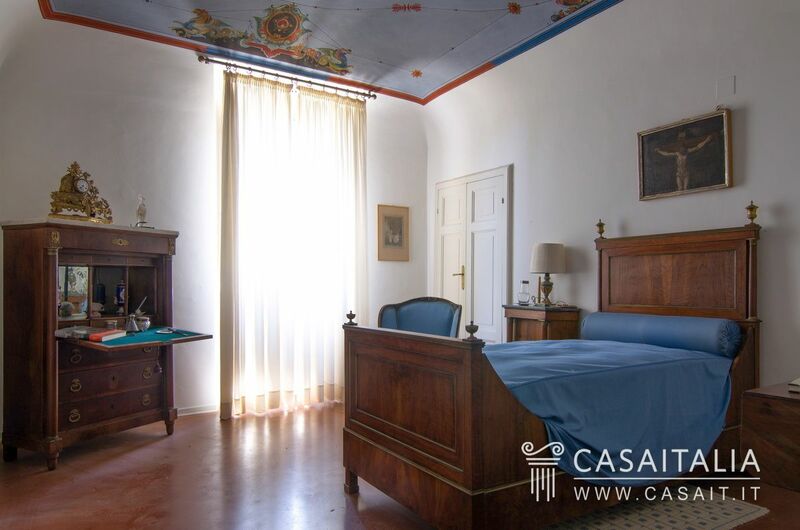 The attic, due to the good average height of the rooms, could be restored and made into living space, which could significantly increase the number of available bedrooms. 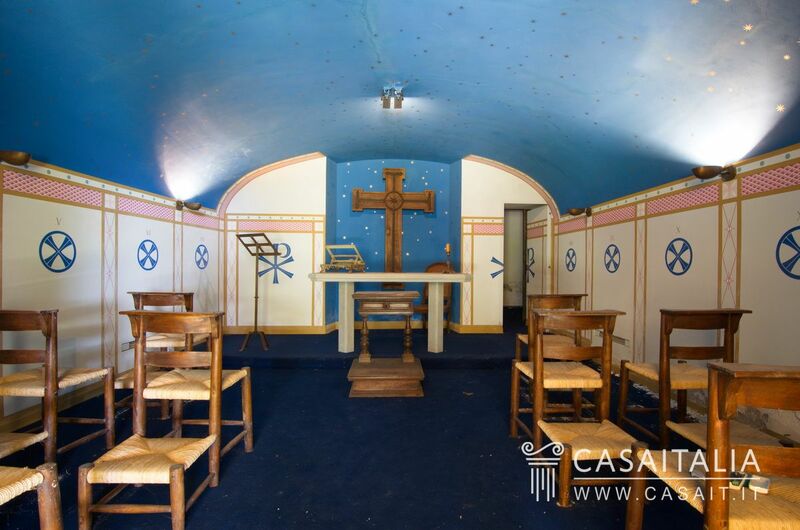 In the basement there is the small private chapel, which is also in good condition. 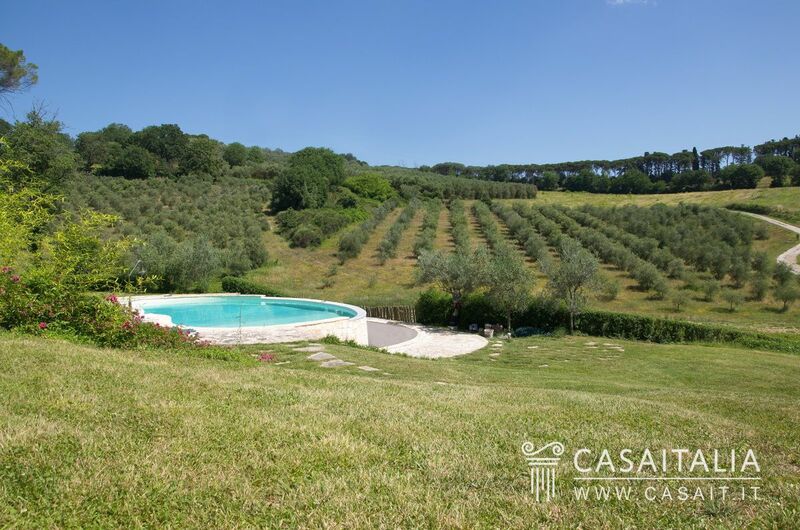 A little lower down from the villa and not far from the swimming pool, there is a pretty farmhouse, which was recently restored with modern finishings of excellent quality, and which is used by the current owners as their home. 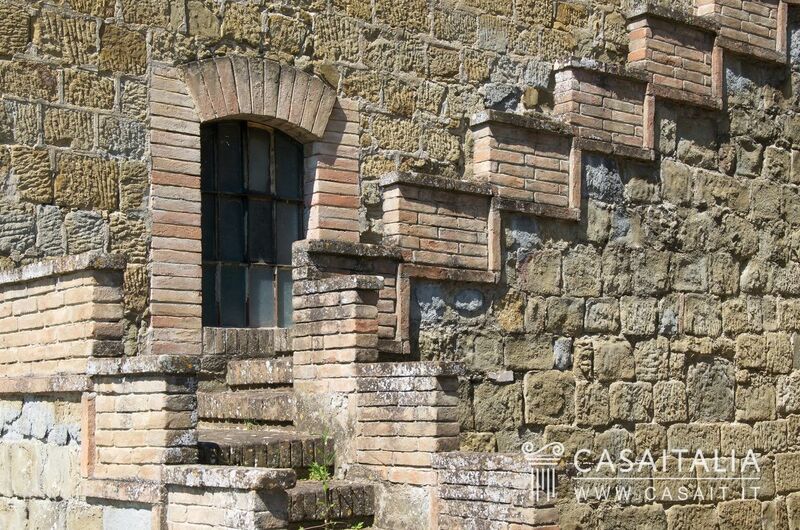 All of the other buildings require restoration. 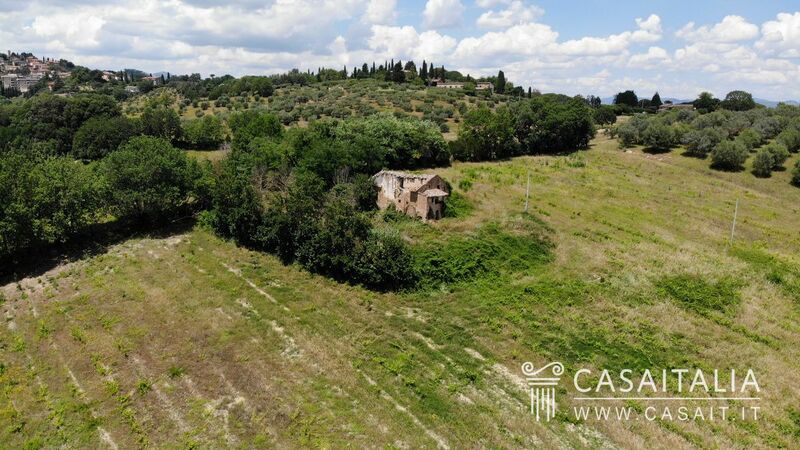 The ones nearest the houses are in fair structural condition, plus there are four additional houses on the land which are in a more isolated and panoramic location, that could be converted into completely independent residences with their own private land surrounding them, as it would be possible to extend each of them by 100 sq.m. 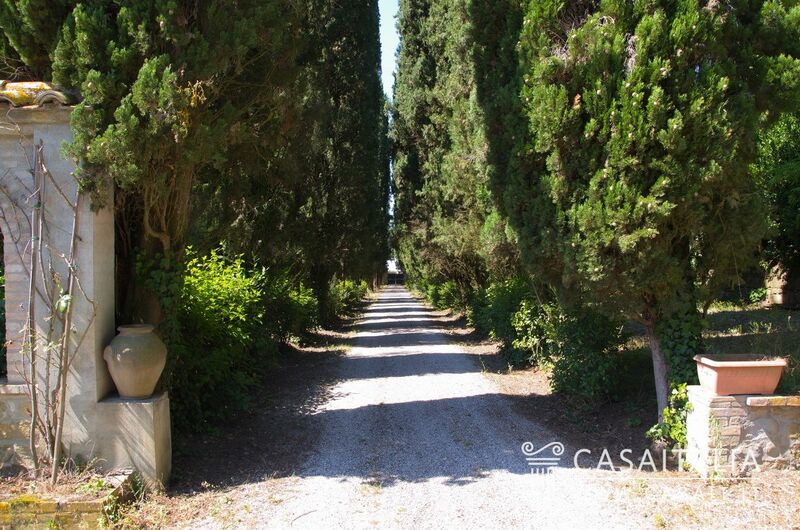 The estate comprises 36 hectares of private land which surrounds the various buildings. 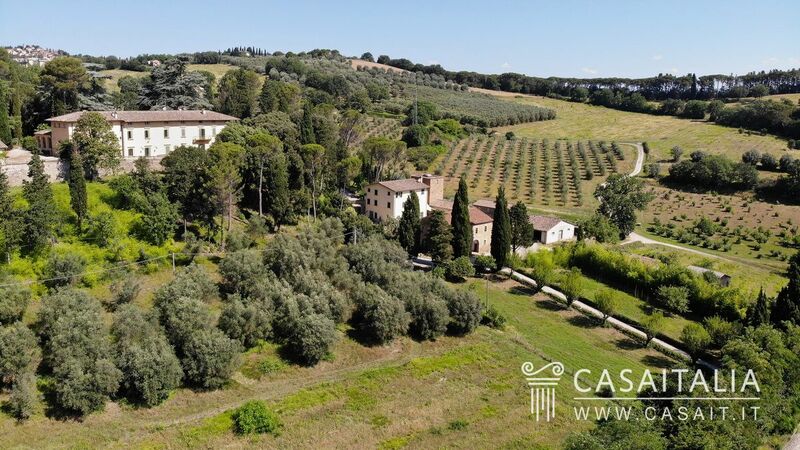 There are two main entraces to the estate: the lower one, which goes all the way to the farmhouses below (and the owners’ current residence) and then through the woods right to the villa, and another on the same level as the villa with a long lane lined with cypress trees. 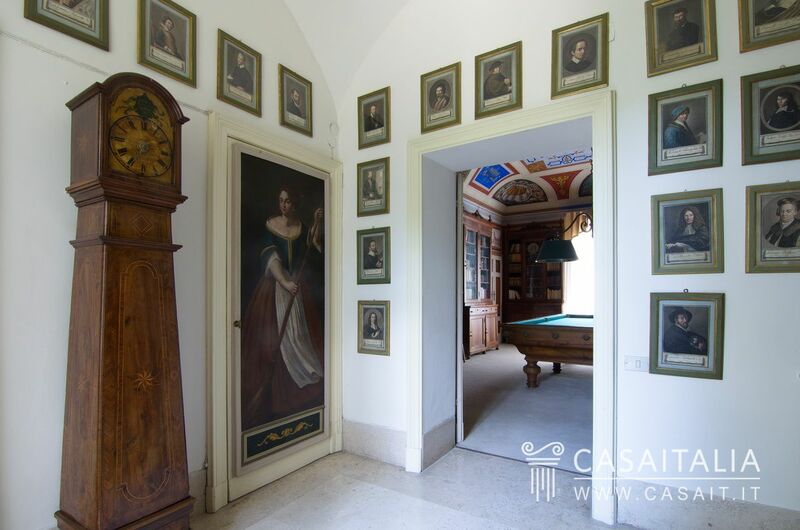 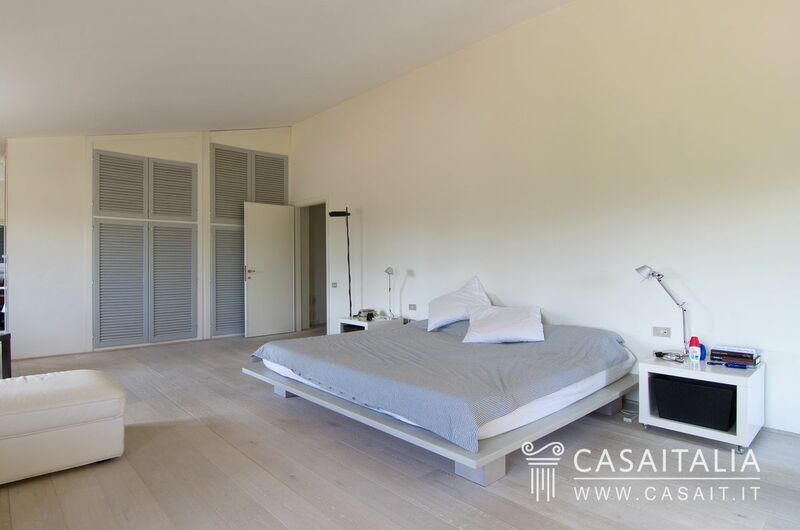 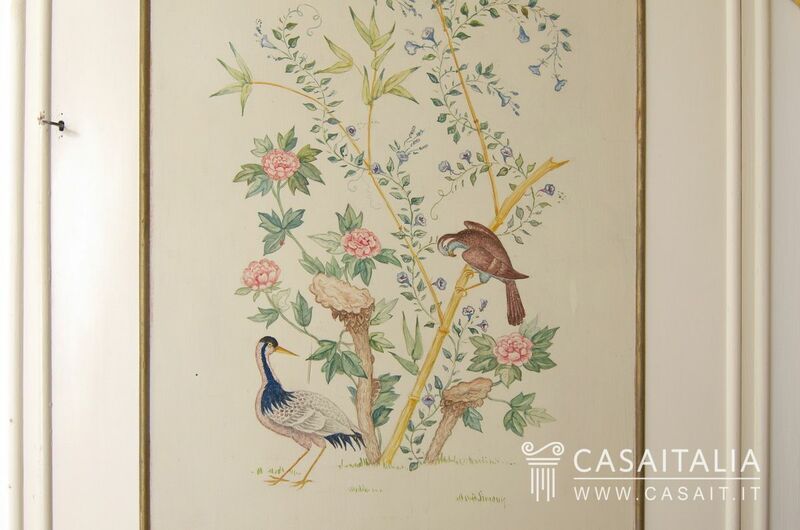 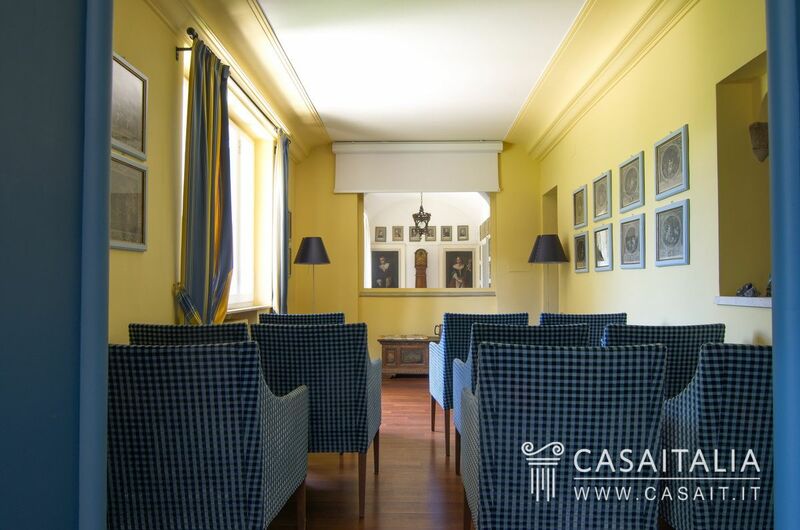 The villa is surrounded by a pretty garden, which underwent a long design process in the 1950s by Porcinai, a famous landscape designer at the time. 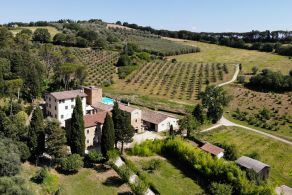 In the area around the farmhouses below there is a large lawn, with a pretty swimming pool in a panoramic and secluded location. 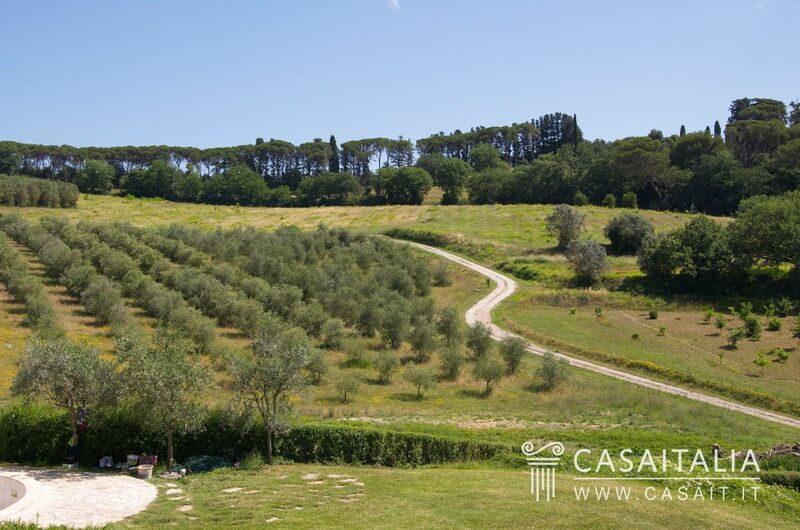 The property also includes a fertile olive grove. 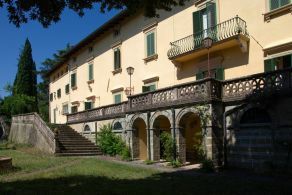 Tenuta del Poggiolo, thanks to its panoramic and convenient location and its architectural features, is a very versatile property: it would be perfect as an impressive private residence, as tourist accommodation where it would be possible to hold events and meetings, or as an impressive headquarters for a business, perhaps an agricultural one.